WHY DIVE AT FXE??? BECAUSE YOU CAN!!!! More than 50 summer clubs in the Charlotte area offer recreational competitive swim programs, but only 4--yes 4! !--also offer opportunities to dive! That makes diving a special and unique summer experience that only a few have access to. There are many reasons to participate in the sport of diving, but the best and simplest is because you are a Gator and at FXE, YOU CAN! participate on both swim and dive teams at FXE? YOU CAN! learn to dive without competing at meets? YOU CAN! be on dive team and do other morning summer camps? YOU CAN! 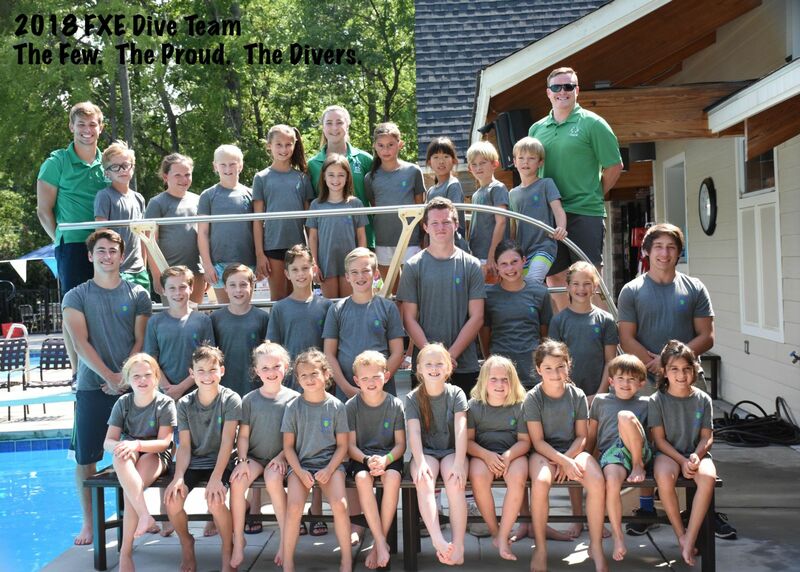 join dive team even if you are a teen with no experience? YOU CAN! learn great body control and do cool things off the board? YOU CAN! be on dive team and go on vacation on July 1st? YOU CAN! have a week of free trial to see if you like it? YOU CAN! Take advantage of this unique opportunity to dive this summer. It's flipping, jumping and twisting fun! Email any questions to juginad@gmail.com.